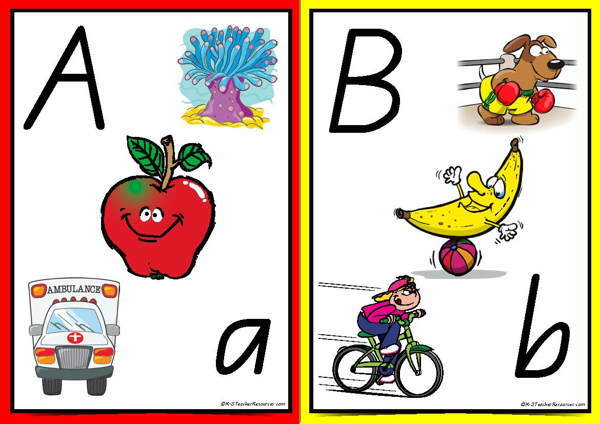 Printable bright and chirpy Alphabet Chart with 3 images and alphabet letters – A5 size. Smaller printable alphabet chart with 3 initial sound images and large alphabet letters. Don’t forget all of our resources can be enlarged, or reduced in size using size options on your printer. Smaller sizes are ideal for individual children’s activities. Poster sizes are ideal for whole class projects. Do you know if these could be enlarged to make them A4 size? Have tried adjusting them on my printer settings with no luck. What is the picture of the coral looking thing on the A card? I have a mental block.